A Gekko kept me company. 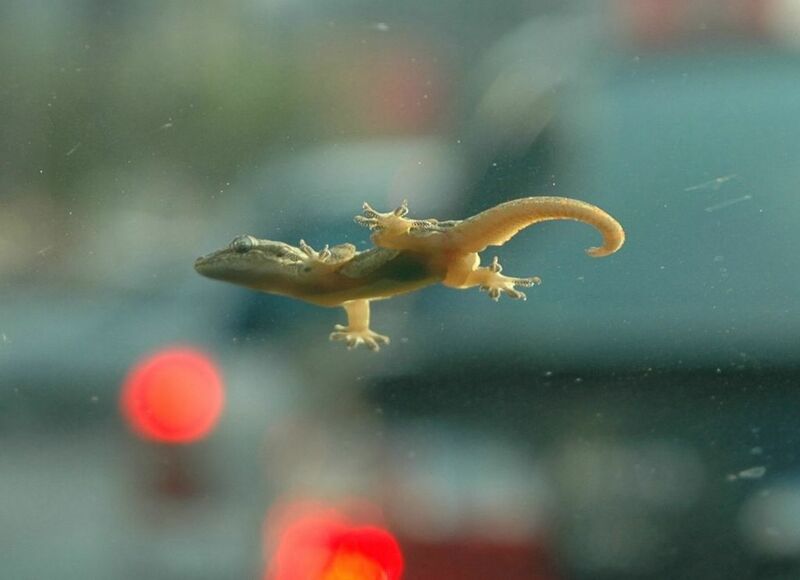 Look what passenger I had on my cars windscreen the other day. The Gekko friend of mine accompanied me for 2 km down the Sukhumvit Road. It seemed to enjoy the trip. More from the road today. 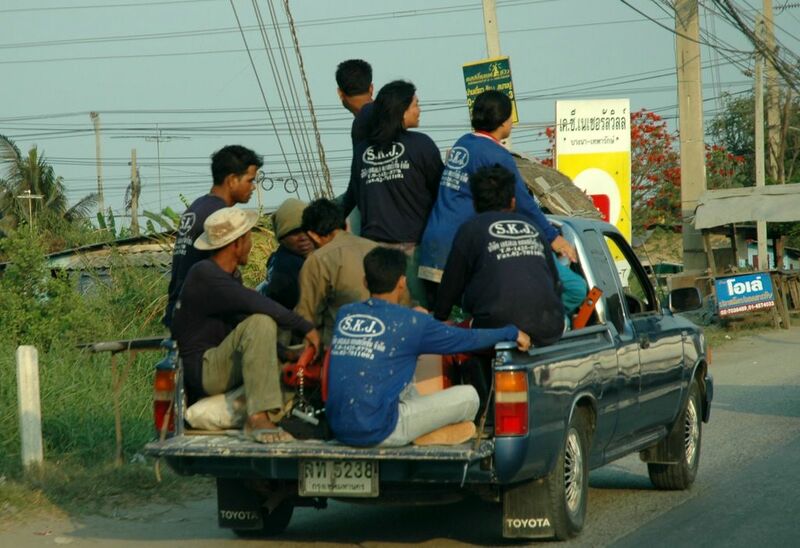 Crowded pickup truck is normal in Bangkok. No one seem to worry about safety.